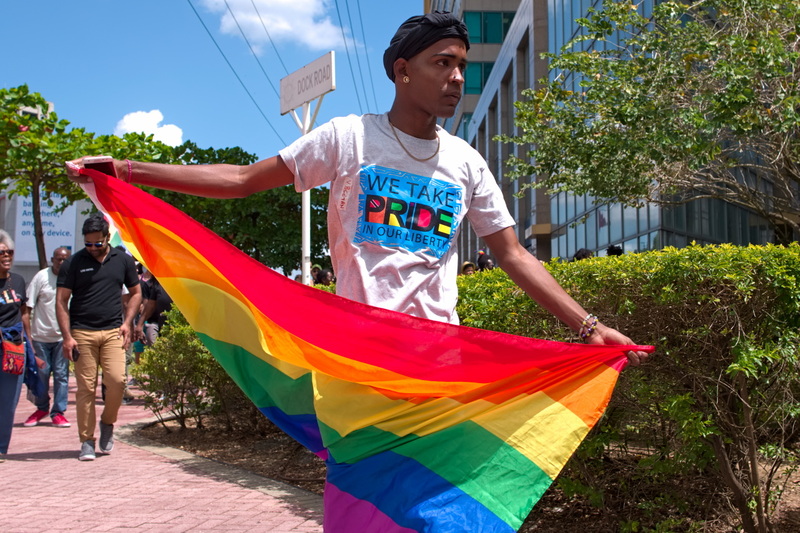 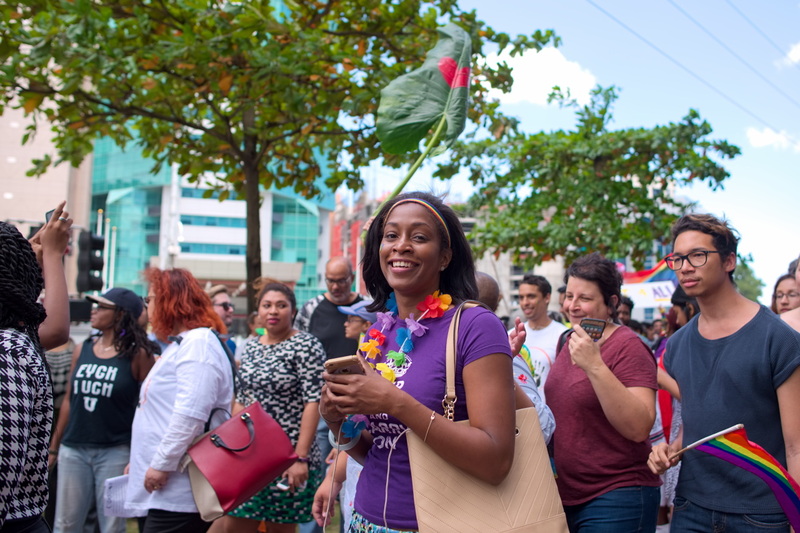 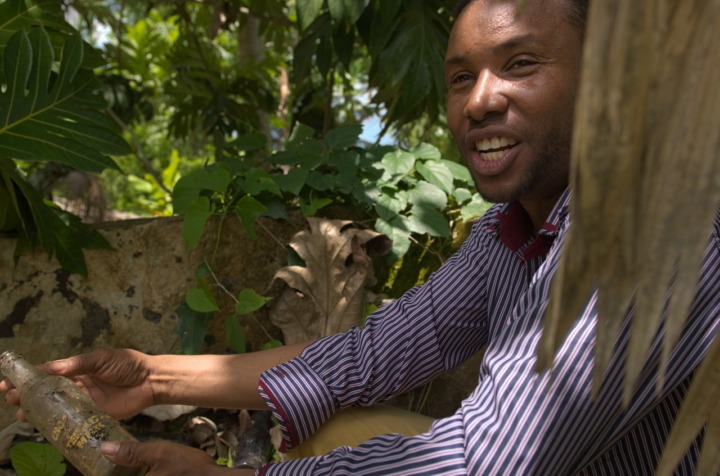 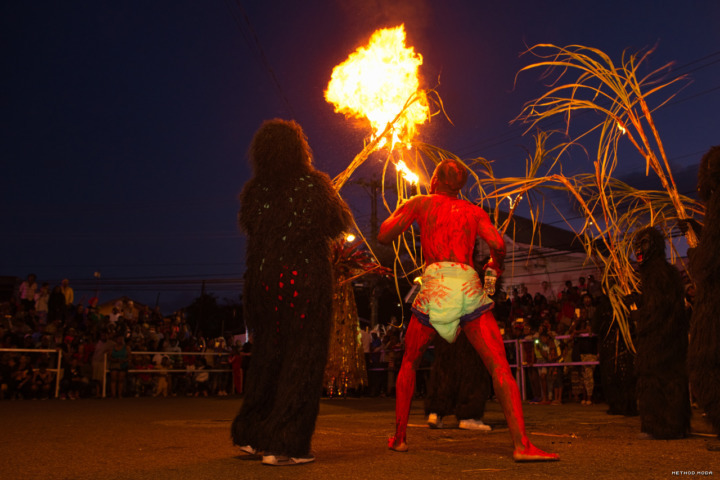 Our history—from Amerindian ancestry, through colonisation and therefore governance by various European countries for short periods each, then a ‘Cedula of Population’ which saw indentured workers and migrants arrive from Asia and the Middle East—has left Trinidad and Tobago among the most culturally and religiously diverse places on Earth today. 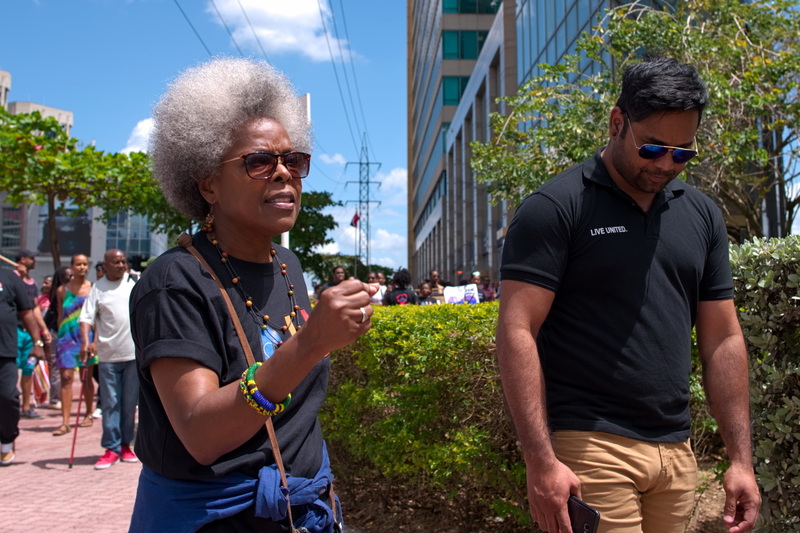 More than just ‘tolerant’, many persons born of the various cultures of Trinbago in fact actively participate in the others. 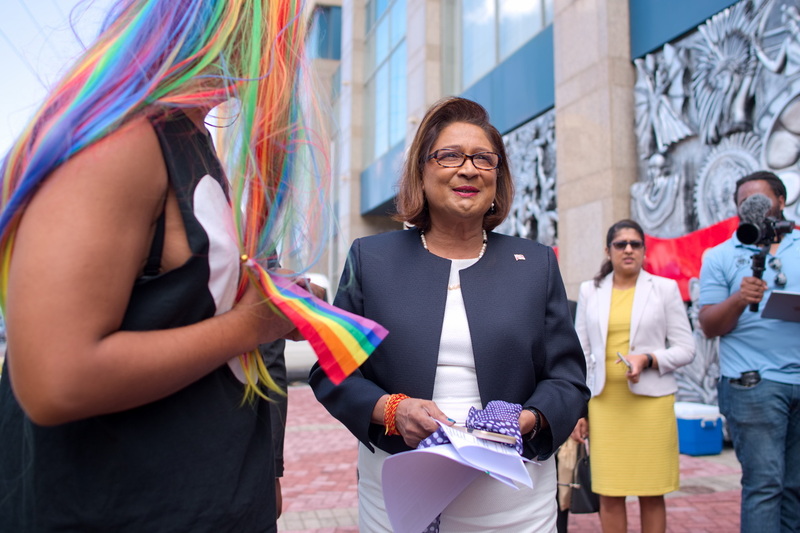 This pair of islands could perhaps be an example to many other places of the world of how an assortment of diverse peoples can be, not only ‘multi-cultural’, but in fact ‘inter-cultural’. 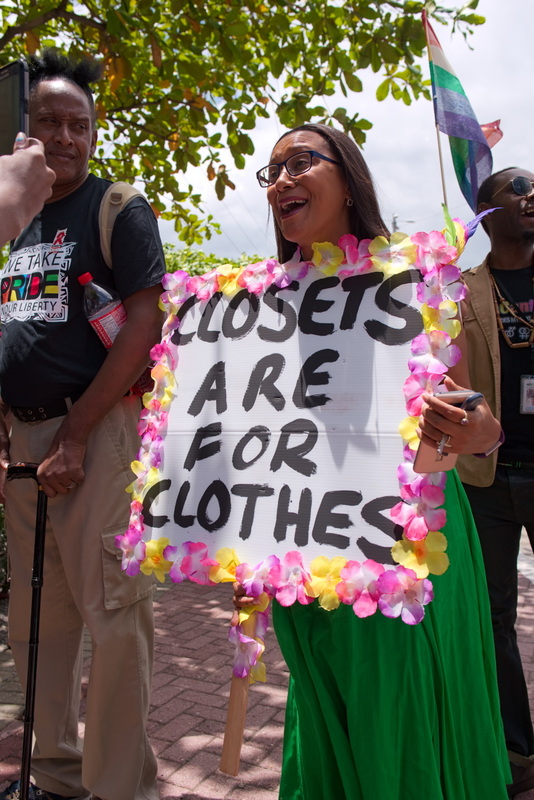 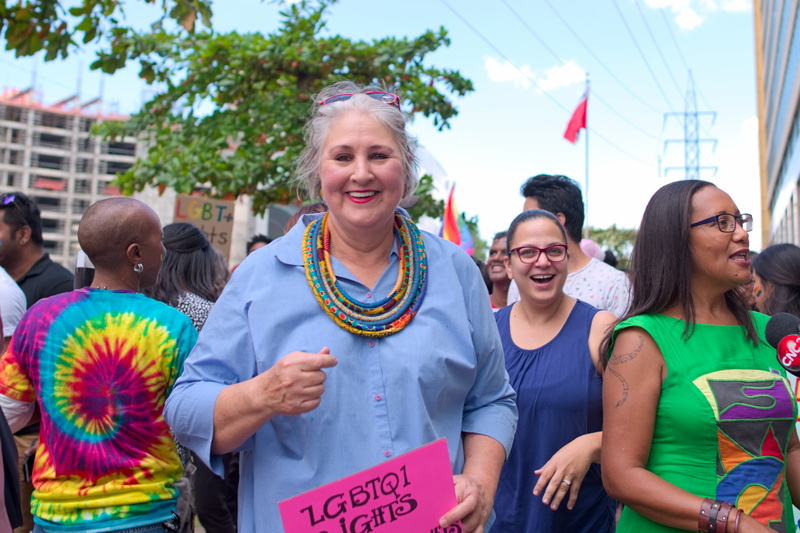 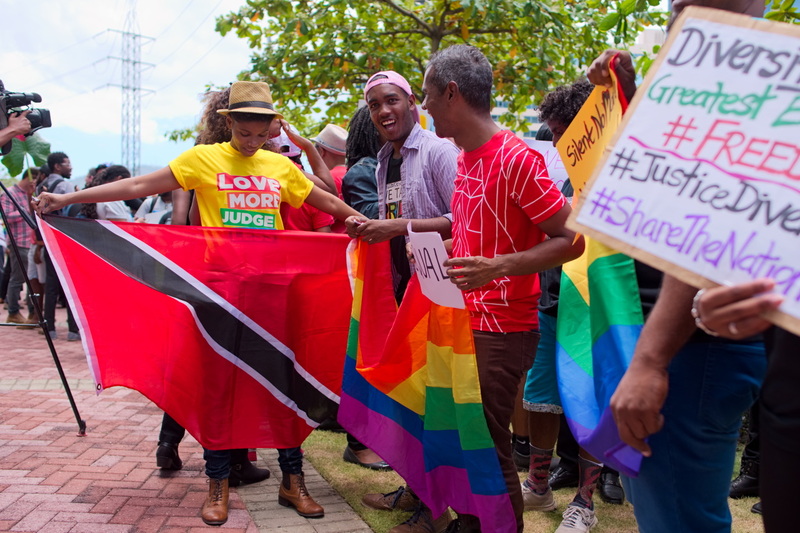 Concerns over potential negative consequences over that and one other section has lead Jason Jones, self-described as an ‘openly homosexual man’, to file a legal claim against the TT Attorney General in February 2017. 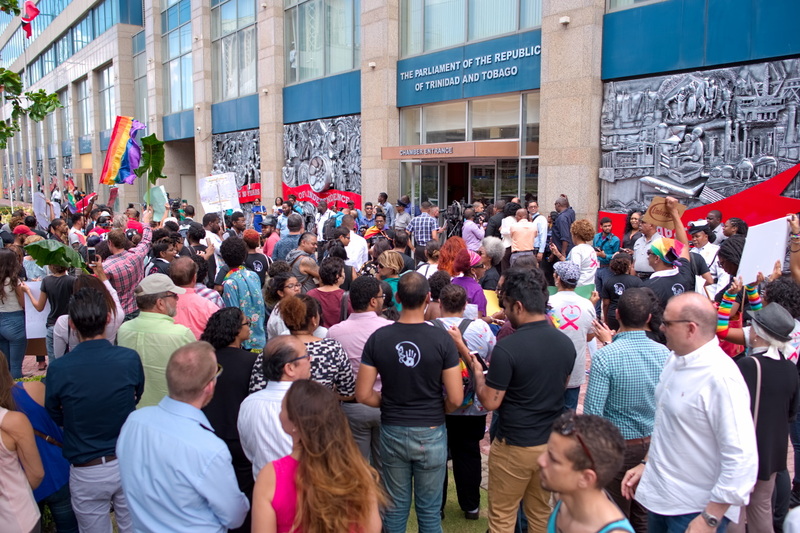 The actions have lead to broader, islandwide discussions, questioning the role of government, the source of moral principles, and to what degree ought a country’s government be involved in the private and personal activities of individuals. 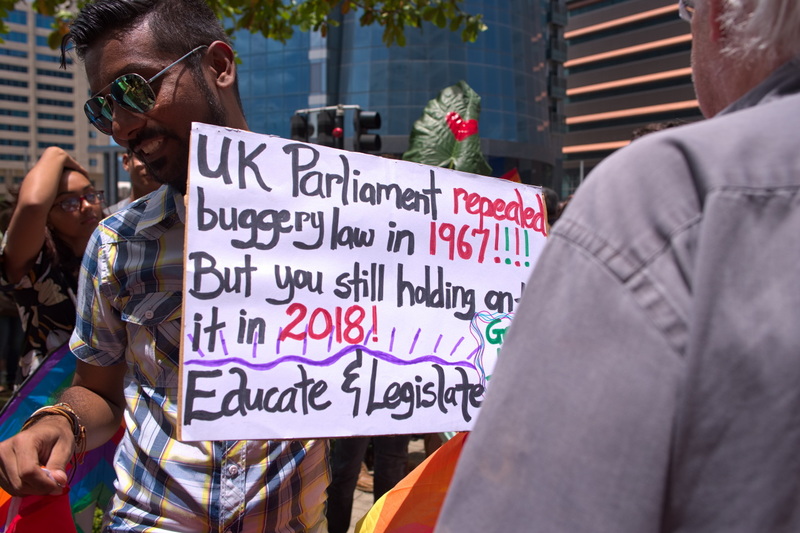 As the time draws near for the result of the challenge to be announced on 12th April, 2018, the discussions grew into a few demonstrations in the capitol city. 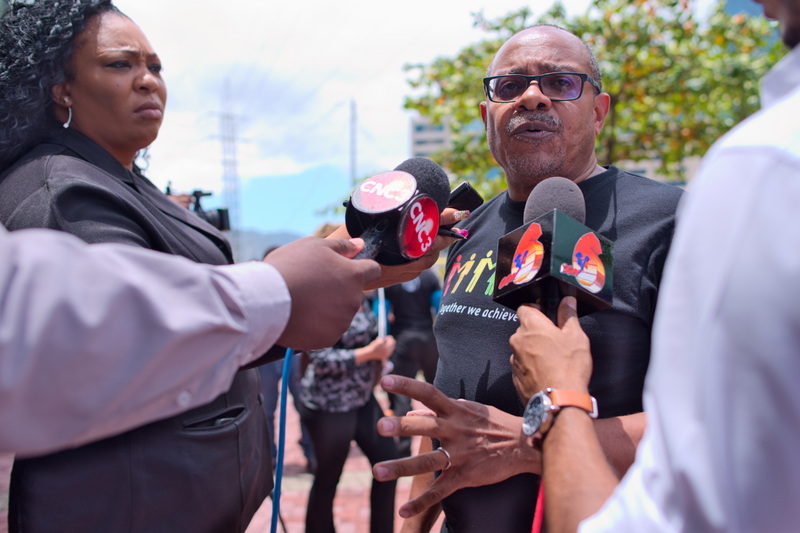 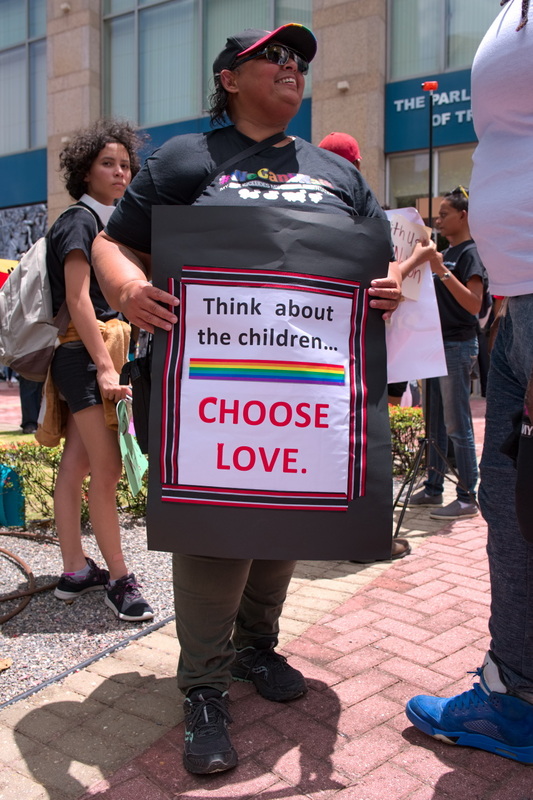 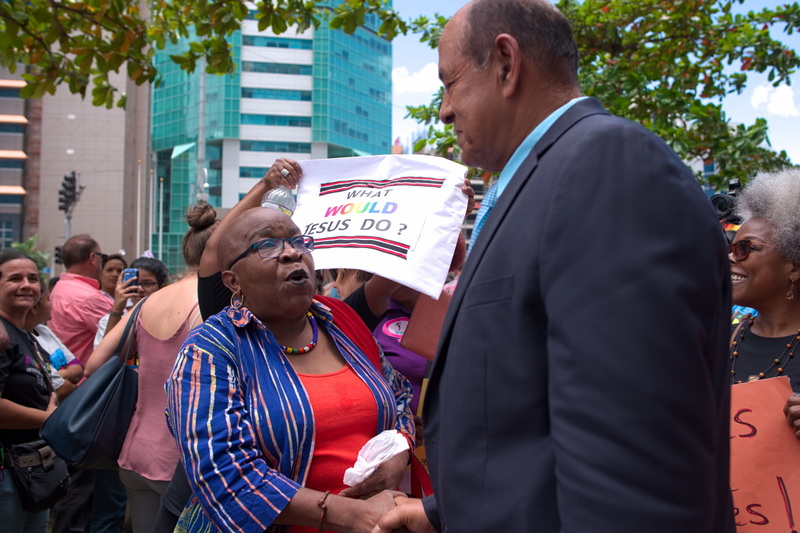 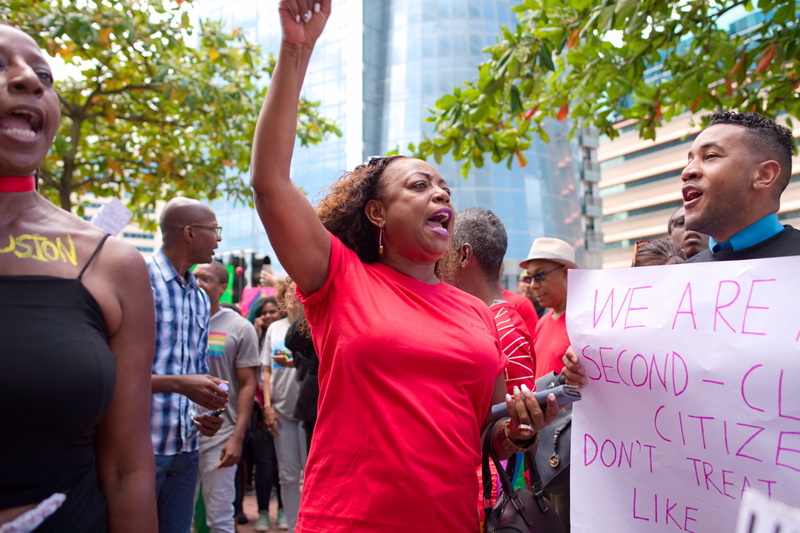 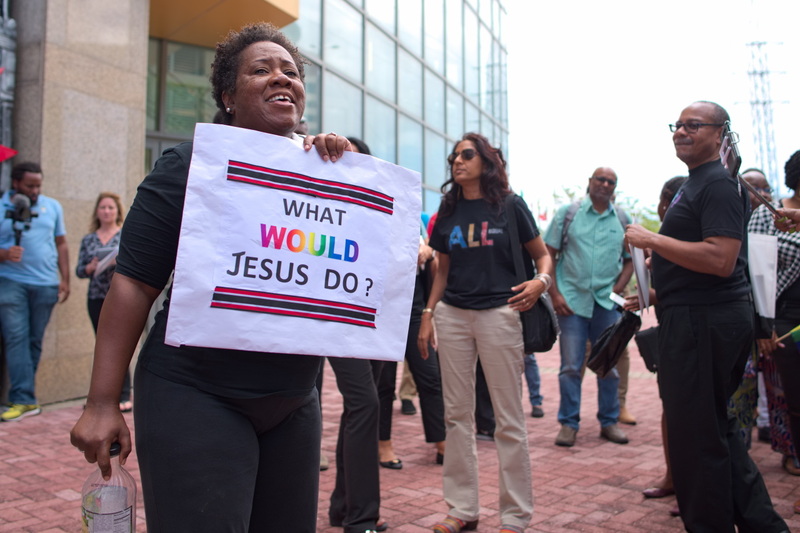 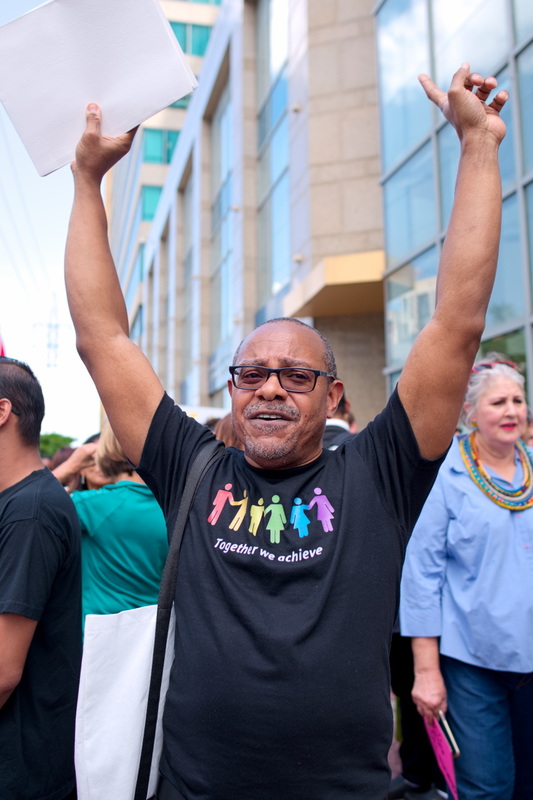 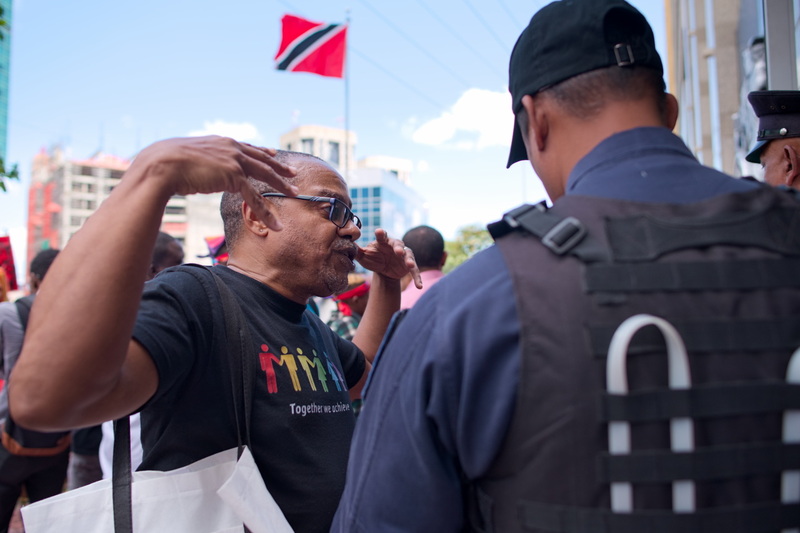 On 6th April, 2018, an alliance of evangelical churches in opposition to the repeal of the sections, under the name ‘T&T Cause‘, hosted a march of over a hundred persons to Woodford Square at the centre of Port of Spain. 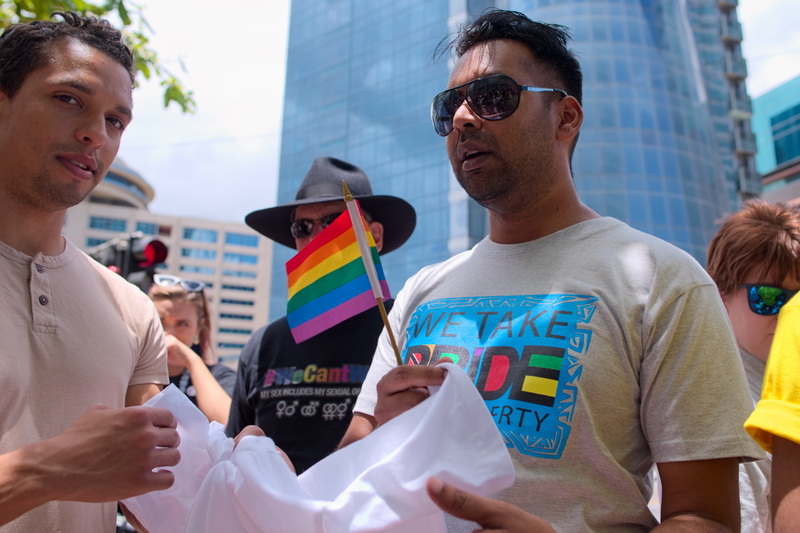 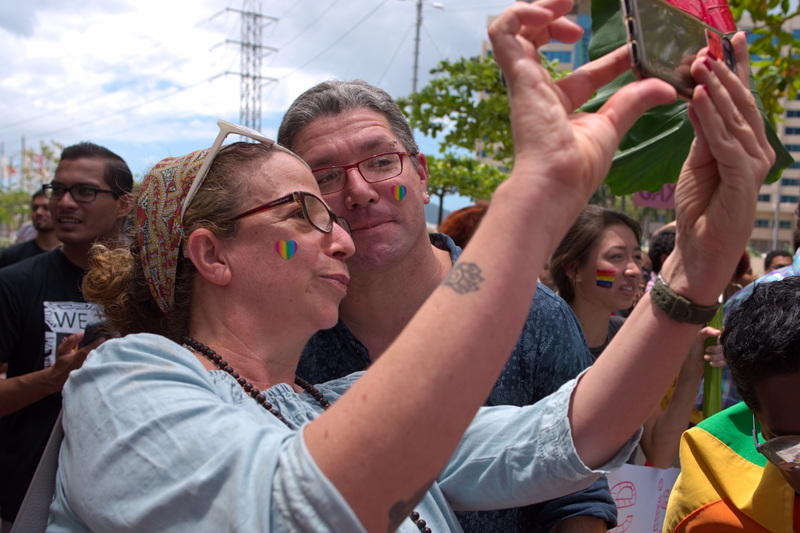 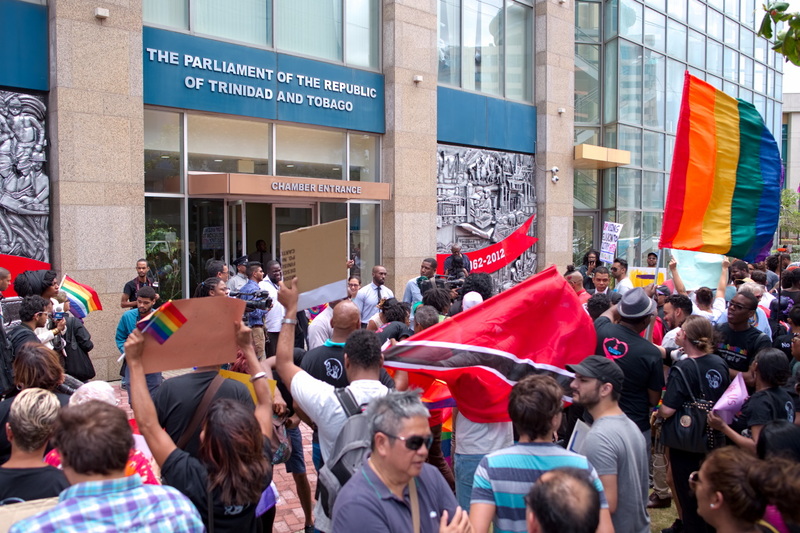 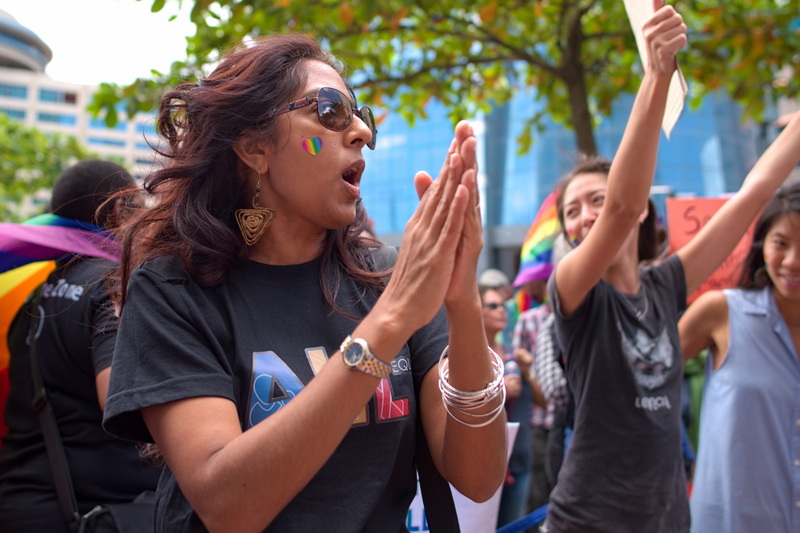 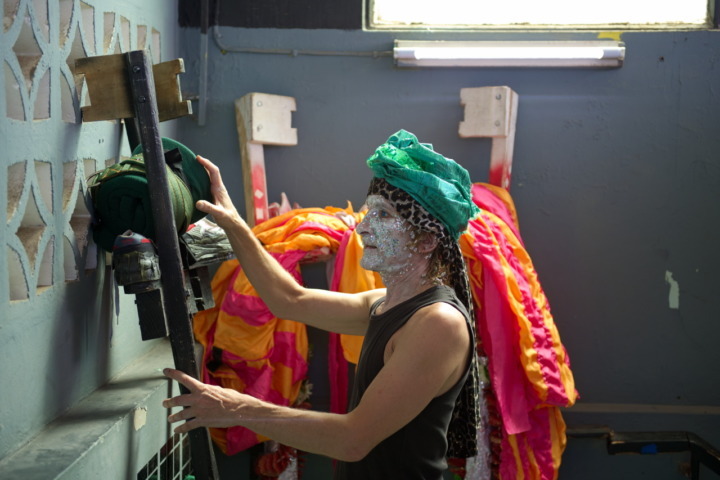 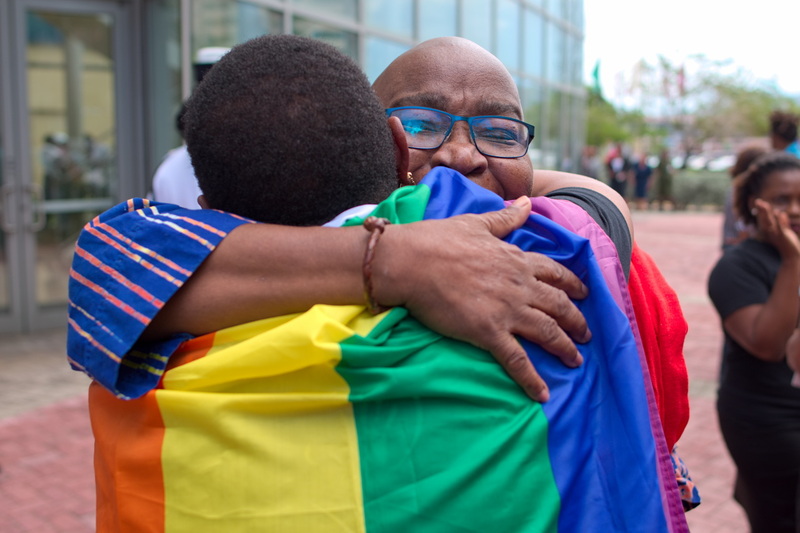 In response, a coalition of TT LGBT+ activist groups under the name ‘Alliance for Justice and Diversity‘ gathered around the entrance to the temporary Parliament office at the International Waterfront Complex, to intercept Members of Parliament en-route to the building, to either engage in discussion or distribute packets of information for consideration. 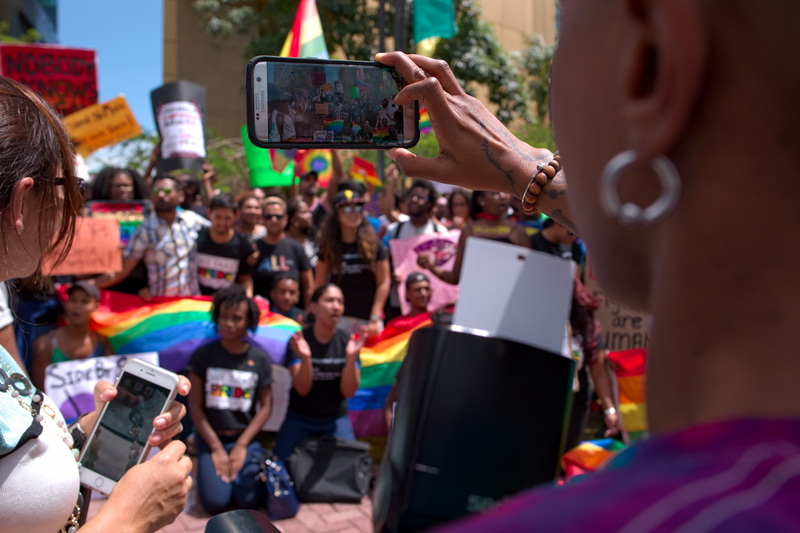 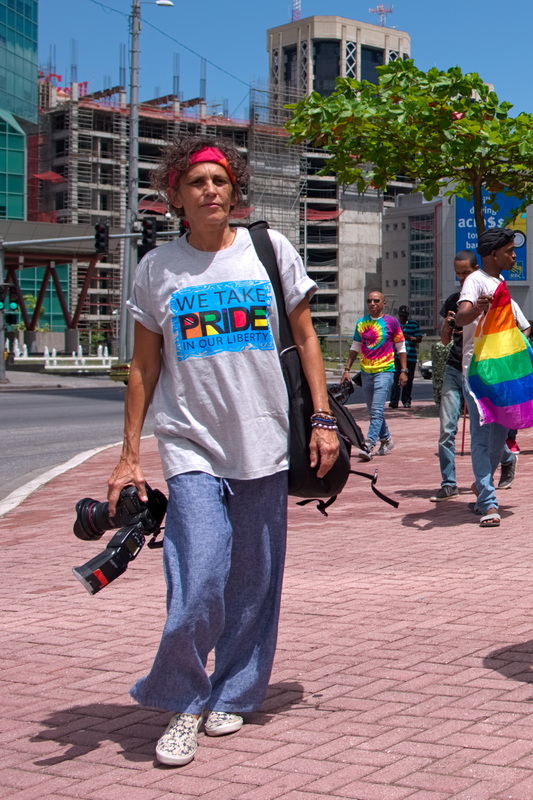 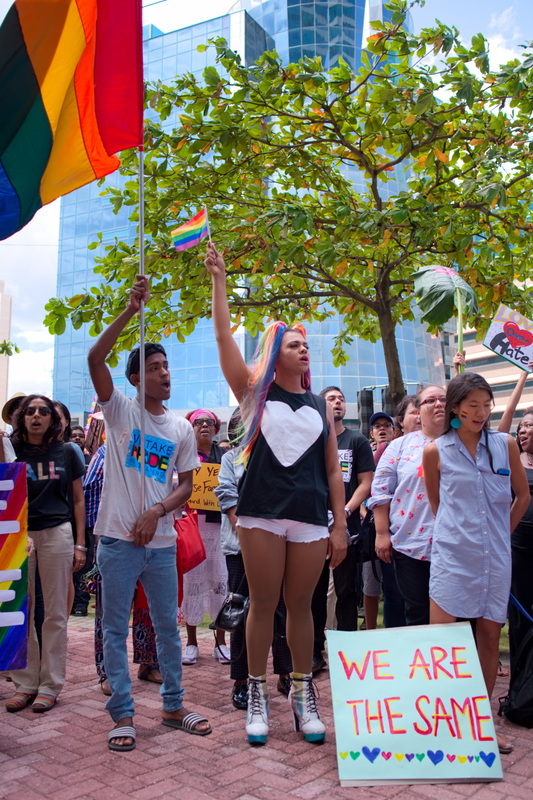 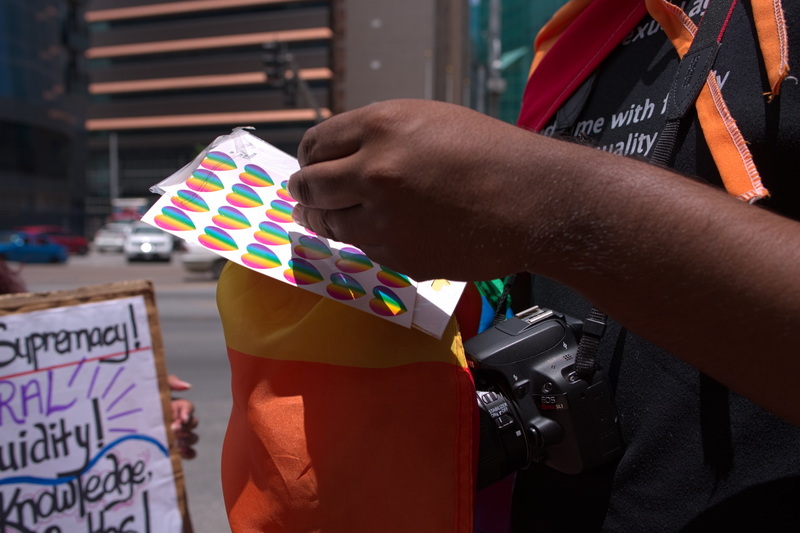 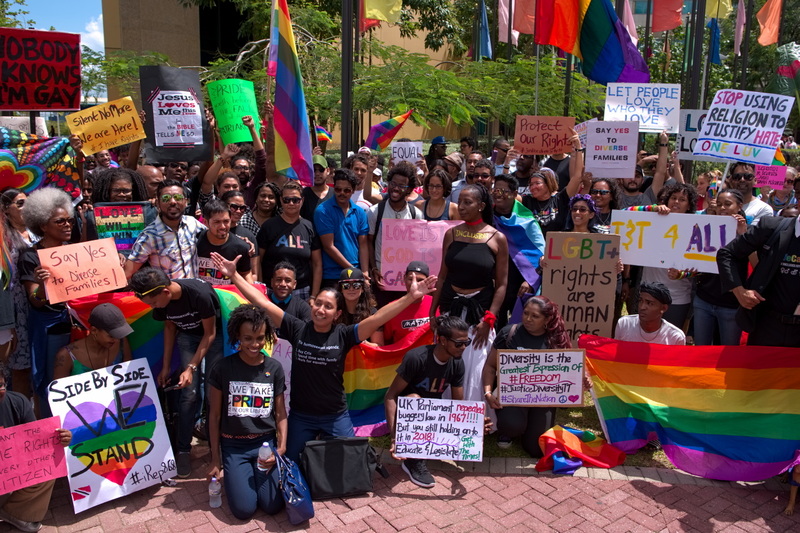 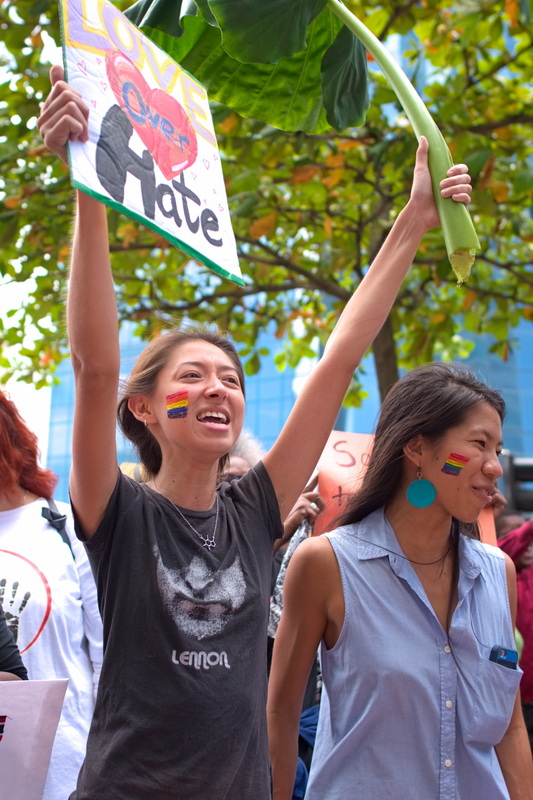 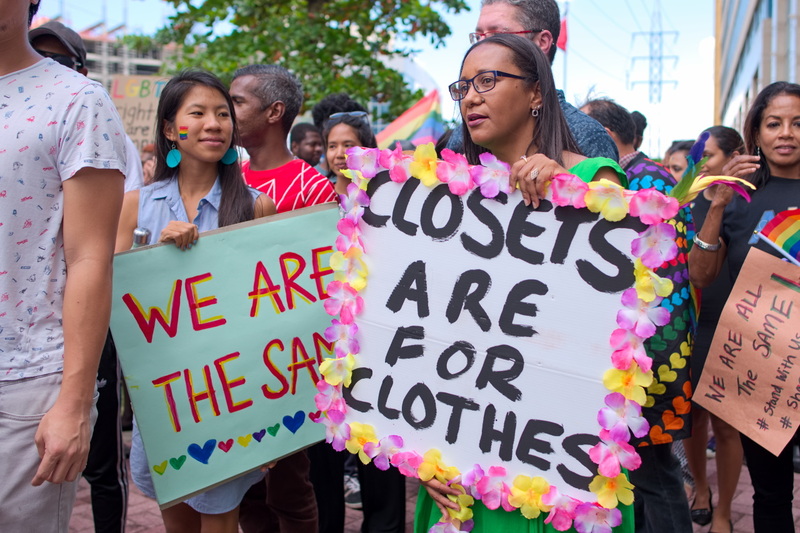 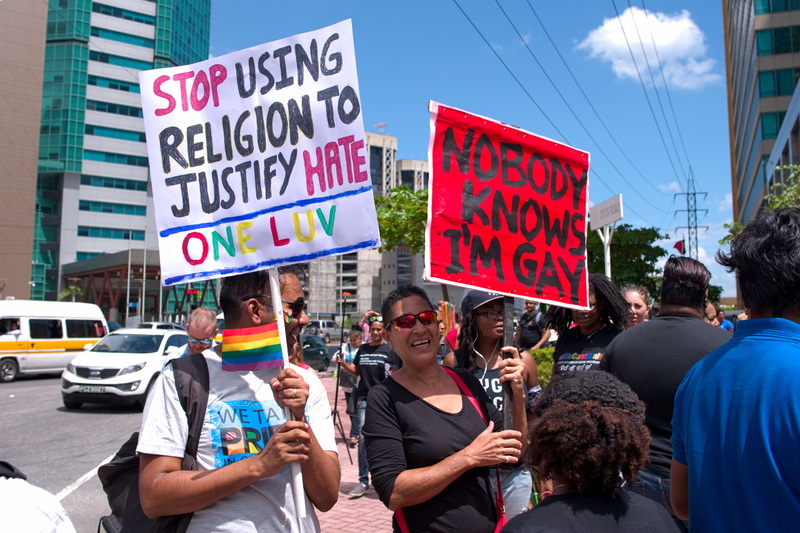 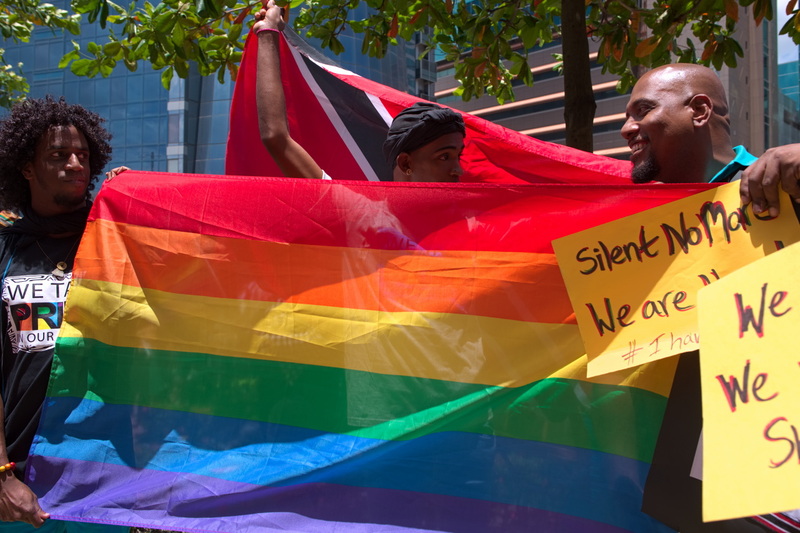 The gathering—comprising many supporters of a wide range of ages, sexualities, and perspectives—expressed overall no anti-religious nor anti-Catholic sentiment (though most seemed to be in opposition to the opinions of T&T Cause), but instead wore signs and discussed with media and listeners about ‘rights’ and the view that the rights of citizens ought to be equal regardless of culture, creed, orientation, or perspective. 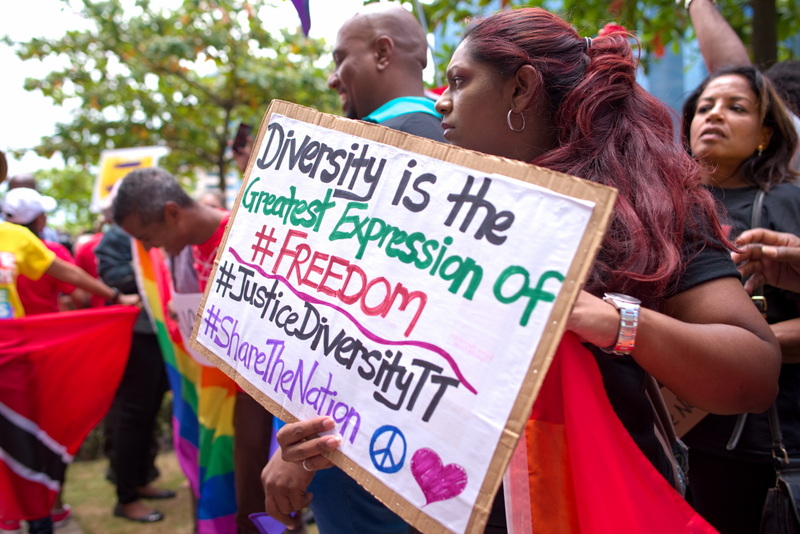 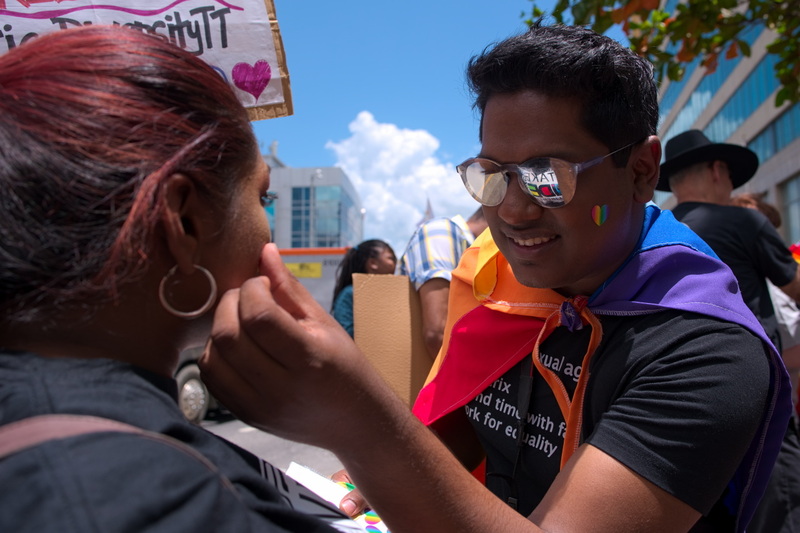 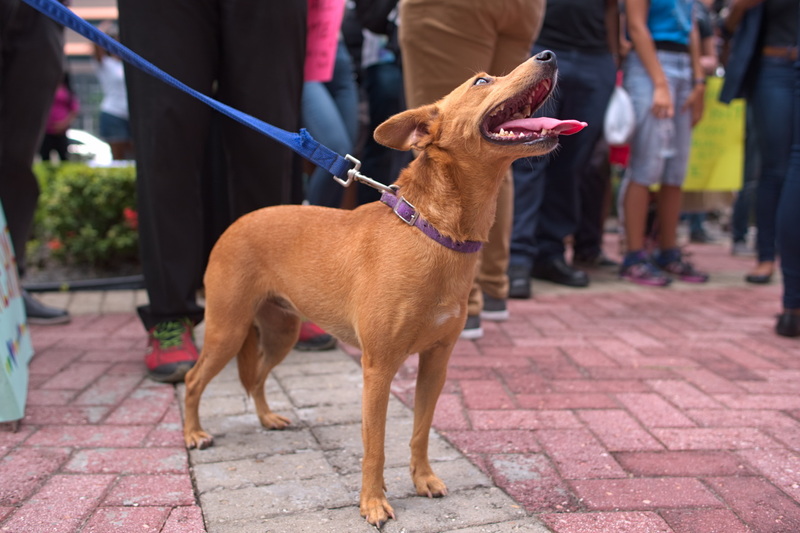 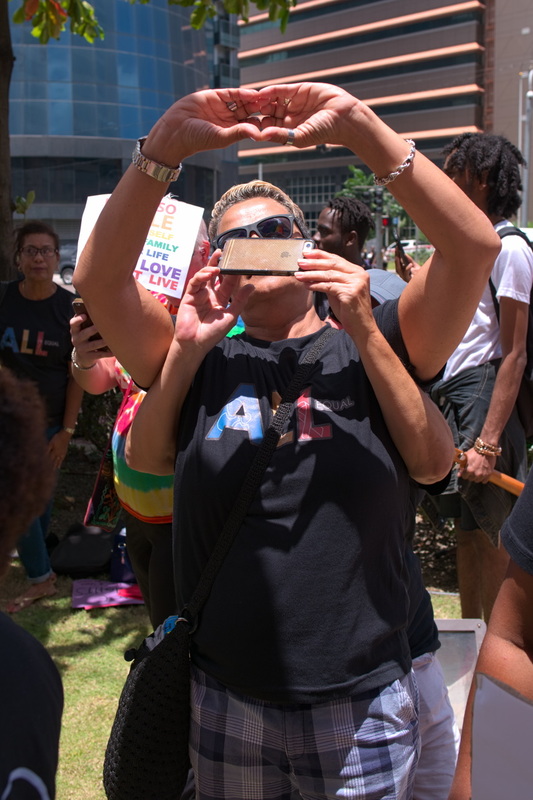 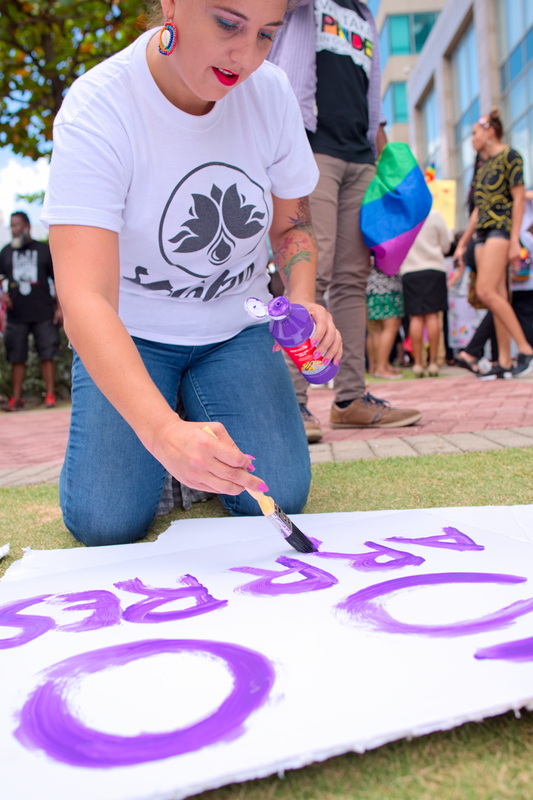 Views such as those, depending on one’s interpretation of the word ‘creed’, are directly echoed in the words sung repeatedly at the rally, the National Anthem of Trinidad and Tobago—A place where every creed and race is meant to find an equal place. 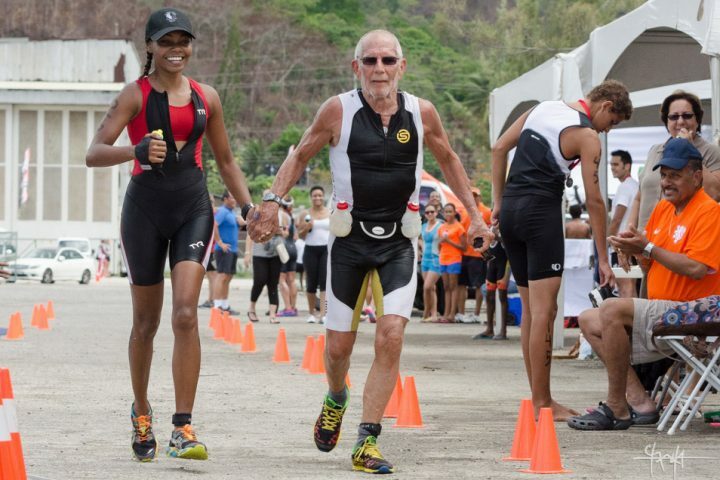 A photograph from the Trinidad and Tobago National Sprint and Olympic Triathlon Championships 2014, submitted as an example of ‘compassion’ to a social media campaign by psychologist, Paul Ekman.